Playa de la Arena beach which has recently been awarded, once again, the Blue Flag of the province of Santa Cruz de Tenerife, now has a semiautomatic external defibrillator. 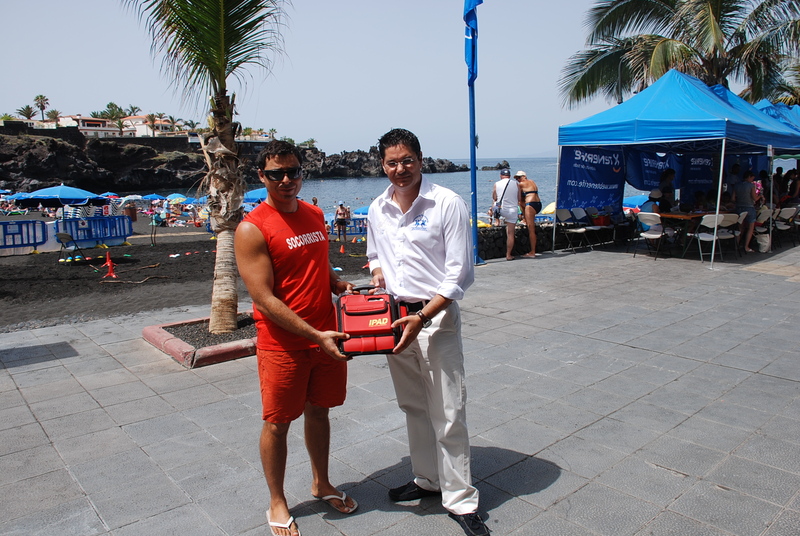 The ceremony for the defibrillator device was made by Councillor for Tourism, Germán Jiménez, to one of the managers and lifeguards of the beach, Adolfo Garcia. A semi-automatic defibrillators is a small, lightweight device which allows the trained lifeguard to apply an electric shock to the casualty in a cardiac arrest situation. The device could save a person’s life while waiting for an ambulance to arrive.